Learning Chinese is super easy, right? I mean, the only things you really need to know are some words, phrases and speaking tones to get by… right? Maybe this basic knowledge can get you by during a weekend stay in 北京 (běi jīng) — Beijing (and that’s a big maybe), but it won’t take you much further. 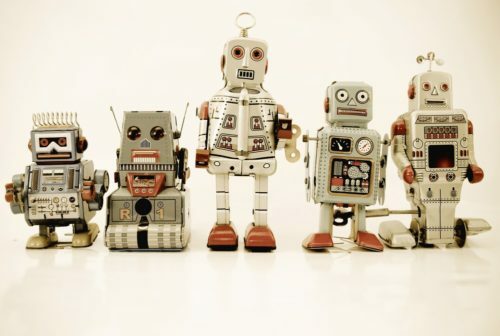 Imagine if someone memorized a handful of English words and recited them at sometimes-correct and sometimes-odd moments to English speakers, like some kind of strange language robot. It doesn’t work. Don’t be a robot. Communication is about so much more than memorizing words and phrases. In order to really be the bomb at Chinese, you’ll need to understand Chinese grammar. What is “grammar,” though, and why does it matter? Syntax: The arrangement of words into sentences. Morphology: How words are formed and their relationship to other words in the language. Phonology: The sounds and tones in a spoken language. Semantics: The meaning behind terms, words and ways of speaking in a language. Okay, so some of this may be going over your head. That’s okay. To summarize, grammar isn’t comprised of vocabulary words and the memorization of random phrases. Grammar is the foundation, the meat so to speak, of a language. To really understand a language and eventually become fluent in it, you’ll need to get a good grasp on the grammar of the language. Still not entirely convinced that Chinese grammar is important? Let’s break it down some more. How Important Is Chinese Grammar? Understanding the foundation of Chinese grammar is crucial for fluency. Let’s assume that you, the reader, are a native English speaker. How far do you think you would’ve gotten in English if you didn’t understand the basics of grammar? Likewise, Chinese grammar is vital to learning the language. If you’re a beginner Mandarin learner, it’s best to figure out grammar now rather than later. It’s the key to being able to correctly form your own sentences. Many beginner learners dive right into memorizing phrases and vocabulary words. This may work for learners who just want to learn passing Mandarin or Chinese for travel, but those who want to master the language need to understand Mandarin grammar in order to form sentences on the spot. It’s vastly different from English grammar. English and Chinese definitely have their similarities in terms of grammar, but for the most part, they’re nearly polar opposites. Not learning Chinese grammar now could lead to confusion and frustration once you hit a “learning block” in the future. 1. Get the hang of basic sentence structure. Both English and Chinese follow the same sentence structure for the most part: Subject + Verb + Object, also known as SVO. 她喜欢书籍。(tā xǐ huān shū jí.) — She likes books. “She” and 她 (tā) are the subjects, “likes” and 喜欢 (xǐ huān) are the verbs and “books” and 书籍 (shū jí) are the objects. While Chinese and English have this similarity, things get more complicated when we get into auxiliary verbs, negation and adverbs. 我今天不会去北京。(wǒ jīn tiān bù huì qù běi jīng.) — I will not go to Beijing today. Things get even more complicated when we get into adjectives, complements and other nuances in sentence structure, which there isn’t a solid guide for. Sometimes these occur at the beginning of a sentence and sometimes they come at the end. The best way to get the hang of Chinese sentence structure is to practice. Find sentences and phrases in English and break their Chinese translation down into their sentence components to try and memorize where certain words should be. In this case, Mandarin flashcards can come in handy. Memorizing sentence structure doesn’t have to be laborious and boring. In fact, once you have your “a-ha!” moment, Mandarin sentence structure becomes kind of like riding a bike. You’ll get a feel for it and know where words need to go when speaking Chinese on the spot. 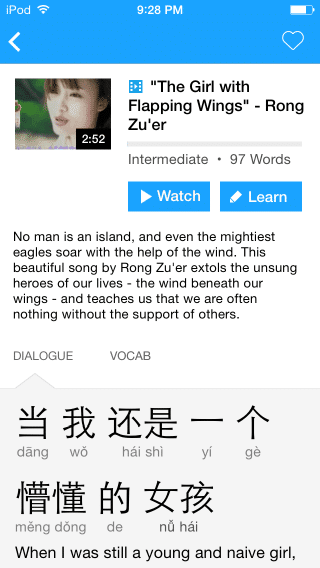 You can also see plenty of examples of the basic Chinese sentence structure and so much more on FluentU. FluentU takes real-world videos—like music videos, movie trailers, news and inspiring talks—and turns them into personalized language learning lessons. 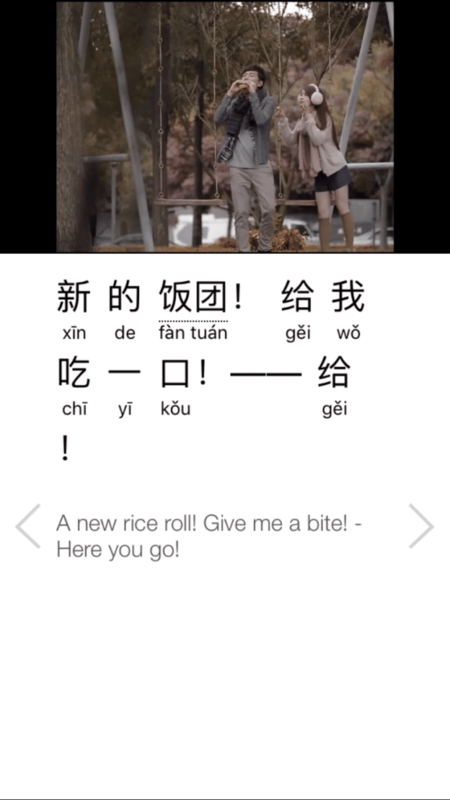 Once you’ve mastered the basic structure of a Chinese sentence, you can use FluentU’s videos, interactive flashcards, customizable vocabulary lists, annotated subtitles and many other features to study the rest of the grammar concepts on this list. 2. Understand how to ask questions. When asking questions in English, all you really need is that little inflection at the end of the sentence, personified by the question mark. In Chinese, things are a bit different. Don’t worry, though. This one’s super easy. For formal Mandarin, you end a question with the punctuation word 吗 (ma) — ma. 你好吗？(nǐ hǎo ma?) — How are you? 你有什么食物吗？(nǐ yǒu shén me shí wù ma?) — Do you have any food? 吗 is pretty easy to use. Things get just a bit more complicated when we get into informal question. Rather than use 吗 at the end of the sentence, we’ll be messing around with the sentence’s verbiage. Formal: 你有时间吗？(nǐ yǒu shí jiān ma?) — Do you have the time? Informal: 你有没有空？(nǐ yǒu méi yǒu kōng?) — Are you free? When you use this form, you’re essentially saying “do or do not” or “have or don’t have” as the question marker. 没 (méi) — “Not” and other negations can be used to follow this Verb+Negation+Verb pattern when asking a question. If you’re having trouble getting used to this method, you can still use 吗 (ma) in informal situations and native Mandarin speakers will catch your drift. For the sake of fluency, though, it’s good to get a hang of the “have or don’t have” pattern. 洗手间在哪里？(xǐ shǒu jiān zài nǎ lǐ?) — Where is the bathroom? 你的妻子在哪里工作？(nǐ de qī zi zài nǎ lǐ gōng zuò?) — Where does your wife work? For this sort of question, 在哪里 (zài nǎ lǐ) — where is/does become the punctuation. Chinese uses actual words to denote a question because so much of Mandarin is tone-based. If an inflection were used to denote a question rather than a word, it would interfere with the tones of the sentence. Makes sense, right? Just remember these three main question markers when speaking and you’ll be good to go. An easy way to put this tip into practice is to simply think of as many ridiculous questions as possible and practice translating them all with both 吗 (ma) and 不 (bù) or 没 (méi) question markers. Trust me, it can be fun. 3. Learn when and how to use possessive words. We mentioned 有 (yǒu) — “have” previously. This is the main possessive word used in Mandarin. The other main word is 的 (de). 我有一束可爱的椰子。(wǒ yǒu yī shù kě ài de yē zi.) — I have a lovely bunch of coconuts. 我最好的朋友真棒。(wǒ zuì hǎo de péng yǒu zhēn bàng.) — My best friend is awesome. 你见过她的猫吗？(nǐ jiàn guò tā de māo ma?) — Have you seen her cat? 你见过她猫吗？(nǐ jiàn guò tā māo ma?) — Have you seen her cat? There are many ways to practice possessive words, but it all comes down to practicing different sentences with possessive connotations. 4. Discover that adverbs aren’t as difficult as you’d think. Good ol’ adverbs. An adverb is a word that modifies an adjective, verb or additional adverb in a phrase. Like we mentioned before, sentence structure in Mandarin can get a bit tricky when adverbs are thrown into the mix, but it doesn’t have to be so tough. 她刚 跑。(tā gāng pǎo.) — She just ran. 我没有时间。(wǒ méi yǒu shí jiān.) — I do not have time. 警察生气地 看 着我们。(jǐng chá shēng qì de kàn zhe wǒ men.) — The policeman watched us angrily. This is probably the easiest tip to remember on our list. Adverb before verb, adjective or second adverb. Keep that in mind and you’re good to go with adverbs! 5. Figure out when to use conjunctions and punctuations. 。is used in place of a period. 、is used in place of a comma. 《…》is used to denote titles, such as books, films, articles, songs, etc. 「…」is essentially Chinese quotation marks. Use these when quoting someone directly. To remember these punctuation marks in the future, write them down in a notebook or a note file on your phone. That way you can easily gain access to these super simple punctuation marks. Punctuation may be simple in Mandarin, but conjunctions can get a bit trickier. A conjunction is a word used to connect other words and phrases in a sentence. Conjunctions can appear in pretty much any part of a sentence, but you can expect them to show up after a comma is used, like with English conjugations. Sometimes, though, a sentence conjunction may follow a Comma+Subject+Conjunction pattern. 我是艺术家、他也是艺术家。(wǒ shì yì shù jiā, tā yě shì yì shù jiā.) — I am an artist, he is also an artist. 我跟他去跑步。(wǒ gēn tā qù pǎo bù.) — I went running with him. 我喜欢猫 、可是猫不喜欢我。(wǒ xǐ huān māo, kě shì māo bù xǐ huān wǒ.) — I like cats, but cats don’t like me. Chinese grammar isn’t as mysterious as one would think, right? As with any language, getting a grasp on grammar can make the process of learning Mandarin substantially easier. 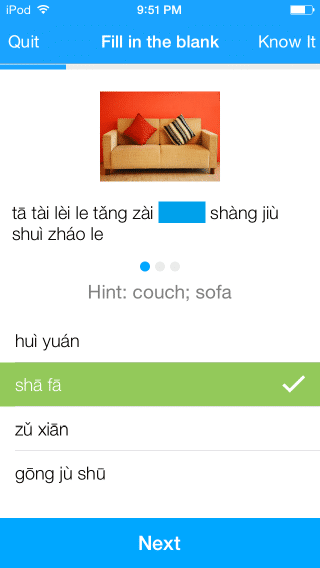 Now that you have the tools to dive right into learning Chinese, get out there and 实践 (shí jiàn) — practice!